Huge thanks to my friends from Macmillan International for sending me an ARC of this book in exchange for an honest review. This did not, in any way, affect my overall opinion of the book and/or the story. 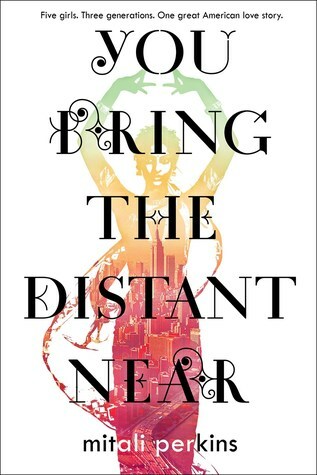 In You Bring The Distant Near, readers became witnesses to how it is to be an Indian immigrant in the United States. Lasting for three generations, Mitali Perkins’ book told the story of 3 women of color from the same family, showcasing the differences in their generations, as well as the similarity of their culture and traditions that bound them altogether. Through this writing strategy, readers are immersed into a more in-depth way of storytelling, letting them feel the character attachment/s dig deeper into their hearts. One thing I loved about this story is how the author was able to portray all of her main characters to be feminists in their own unique way. From Ranee Das down to Anna and Chantal, all of the women under the Das family name became people who fought for their dreams while having to stand up for what they naturally believe in. Albeit every Das women grew up to be their own distinct person, at the end of the day (and the book), they still knew how important it was to be true to themselves, as well as to their family because they also knew that no matter how much they could’ve changed, they would still be loved and accepted. I personally just fell in love with the story’s last generation of Das women, Anna and Chantal. I found their personality to be very distinct from each other and yet, as I’ve mentioned, at the end of the day (and at the end of the story), they were still brought together by their love for their family. They shared creative differences, but they respected themselves enough to never let them come between their familial connections. Not that the other generation of Das women didn’t have any other notable traits to mention. I loved them too, but not as much as I loved Annu and Shanti. But my most favorite aspect of this story was the close connection that they shared with their husband / father / grandfather, Rajeev Das. From start to finish, all Das women grew fond of this lovely man. I love how even after he left the narrative, these women stayed faithful and loyal to him, making sure to uphold his honor and name, in whatever they do or whatever decisions they make, even after 3 generations. I love how he literally stayed in their hearts even if they were all far away from each other. It’s endearing, heartwarming, and it didn’t fail to tug on my feelings. Have you ever read a book that deeply resonates with you and some of your life experience/s? How was it for you? Share your experience with me via the comments section below! Mitali Perkins was born in Kolkata, India, and immigrated to the States when she was seven years old. 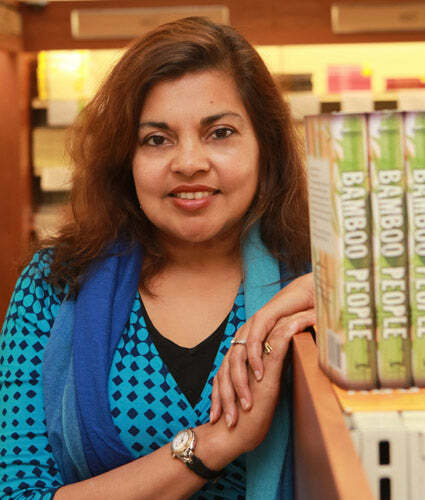 She’s written several books for young readers, including You Bring The Distant Near, Bamboo People, Rickshaw Girl, Monsoon Summer, Tiger Boy, and Secret Keeper. She is also an editor of an anthology entitled Open Mic: Riffs Between Cultures in Ten Voices. Readers can find her at her Website, Twitter, and Instagram. Great review! I just got approved for a Netgalley ARC of this MONTHS after requesting it, and that always makes me a little apprehensive for some reason (I guess because after it pends for a month or so, I usually give up on the title? ), but your review made me much more excited to read it!